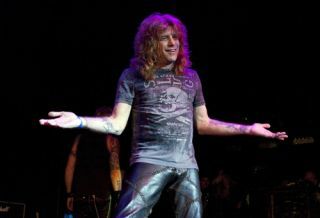 Fresh from appearing on Slash's killer solo record, former Guns N' Roses sticksman Steven Adler has been back behind the kit, playing live with Adler's Appetite. Can he still cut the mustard? Judge for yourself in the video below, but this looks like a pretty spot-on version of G N' R classic 'Welcome to the Jungle' to us. Steven will also release his autobiography My Appetite For Destruction on 27 July. As big Adler fans here at Rhythm that's definitely a book that'll have us putting down our sticks and reaching for our reading glasses.